Home > Google News > Misc Google > Amit Singhal, The Head Of Google Search To Retire But Why? 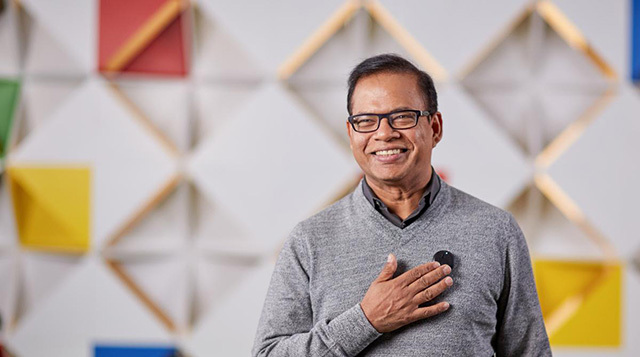 I am sure you've heard the news that Google's head of search, Amit Singhal, has announced on Google+ that after 15 years he is leaving the company. He is retiring. Why? To pursue philanthropy and spend more time with his family. His replacement is awesome, John Giannandrea who leads up artificial intelligence at Google and was the man behind RankBrain. But Amit, he has made more of an impact on you and I and the world than 99.9% of the world. He is the man behind the Google search box. The search results and how they are laid out, returned and the answers - are his baby. As Matt Cutts said "billions of people have benefited in some way from Amit’s insight and judgment." But why now? I know, he doesn't need the money. But he was/is a man driven by solving problems, big problems. Leaving Google, well, he won't have access to such a platform to solve those problems at such a scale anymore. I know, he's been doing it for 15 years - it's a long time. But on his 15th year anniversary, which was just a few months ago, he posted on Twitter "Fifteen years ago, on this day, I joined a small startup called Google. The journey continues." And now he posted a continuation of that "The Journey Continues..." on Google+. My life has been a dream journey. From a little boy growing up in the Himalayas dreaming of the Star Trek computer, to an immigrant who came to the United States with two suitcases and not much else, to the person responsible for Search at Google, every turn has enriched me and made me a better person. As I entered the fifteenth year of working at Google, I've been asking myself the question, "what would you want to do for the next fifteen?" The answer has overwhelmingly been: give back to others. It has always been a priority for me to give back to people who are less fortunate, and make time for my family amidst competing work constraints--but on both fronts, I simply want to give and do more. Now is a good time to make this important life change. Things are in amazing shape. Search is stronger than ever, and will only get better in the hands of an outstanding set of senior leaders who are already running the show day-to-day. It fills me with pride to see what we have built in the last fifteen years. Search has transformed people’s lives; over a billion people rely on us. Our mission of empowering people with information and the impact it has had on this world cannot be overstated. When I started, who would have imagined that in a short period of fifteen years, we would tap a button, ask Google anything and get the answer. Today, it has become second nature to us. My dream Star Trek computer is becoming a reality, and it is far better than what I ever imagined. I love Google. It is a company that believes in doing the right thing, a company that believes in doing good in the world, a company… that cares. I look back at my time here with a profound sense of gratitude that I was a part of building this. Now, with pride, gratitude, and joy in my heart, I need to define my next fifteen years. I am eager to see what kind of impact I can make philanthropically, and of course, to spend more time with my family--especially with my wife who I miss spending time with given our incredibly busy lives, and our son who will go to college soon, leaving an empty nest behind. Feb 26 will be my last day at Google. My relationships are the most important thing I’ve accumulated in life and I’d love for that to continue. Please do drop me a line occasionally and we can have a cup of tea. As Chief Si’ahl said “Take nothing but memories, leave nothing but footprints!” I am taking so many fond memories with me, and hopefully I’ve left a small footprint here. I guess when he posted that message on Twitter just a few months ago, that was our hint that the journey does continue - even without Amit at the helm. I just get the feeling, a gut feeling, he wasn't done. I am not sure why I get that feeling. Going to miss @theamitsinghal at work more than I can express. A true friend, built an amazing team, and taught me more than any other boss. Read some of our Amit stories here. The journey will continue and I wish all the best to Amit Singhal and his family - with the deepest respect.